Here's another offering from the authority when it comes to beauty and technology, Belo Medical Group, a product that comes in handy and affordable. Belo Collagen Powder Drink is a sachet that you can bring anywhere with you and can be mixed basically with almost everything. It's literally drinking away your skincare along with your favorite drink. Just mix a sachet to any of your daily drink and that's it! Looking younger has never been this easy! 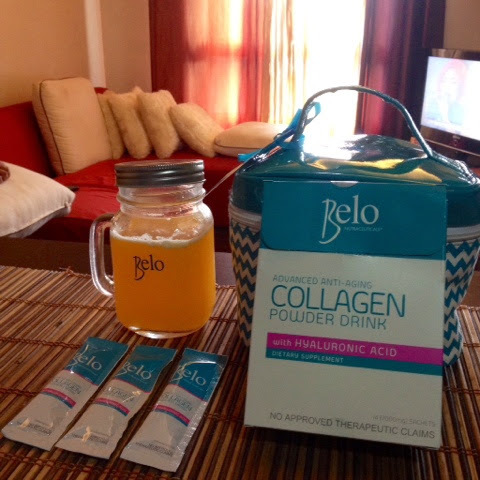 Belo Collagen Powder Drink is available in Mercury Drug, Watson and all leading drugstrores nationwide. A box of 14 sachet only costs Php1,592.50 (SRP) or 1 sachet costs Php113.75 (SRP). It's even cheaper that a cup of your favorite coffee. Try it!